There really is little point in speculating why Loughner did this, especially since there are so many signs pointing to mental health issues. Many times humans are not in touch with their own motivations for their actions--even so-called "sane" individuals--so there's little point in speculating whether Sarah Palin's "target list" had anything to do with it (I doubt it, personally). Mental health patients with paranoia may, for example, believe that Nazis are hiding in their next-door neighbor's home and attack it on that basis (as seen in the episode of Frontline below). Is that Sarah Palin's fault, too? Is that anyone's fault? I think most people trying to link this shooting to the rancorous political debate in our country are mostly ignorant of mental health, or maybe they're bent on vengeance and "justice" and so claims of insanity are inconvenient, or perhaps they just hate conservatives and this seems like good opportunity to make those meanies at FoxNews look bad. Watch this logic, however: some sources say Loughner for a time was a regular pot smoker, so we may as well blame a combination of FoxNews and marijuana for the killing spree. That makes about as much sense as blaming video games for the Columbine shooting. This is my humble plea to set aside rationality from the conversation until we know that Loughner was, at the time of the shooting, rational himself. If he was not rational, and I think there's good reasons to think that maybe he was not, then there's nothing to be gained from imposing rationality on his motives. Since I've already had this conversation, I know what some of you are thinking: Yes, well, maybe Loughner was/is crazy, but Palin/FoxNews/whoever's violent speech helped him pick his target/prodded him forward." Some people then argue that we need to reassess our rhetoric and take it down a notch. Sorry, but I'm unsympathetic to the idea that I need to censor my comments based on the premise that someone crazy might be reading them and misinterpret my "target list" for removal from Congress as a death list. It's not my, nor your, responsibility to ensure that you will be understood by everyone because, well, it's a useless game. I urge you to watch the following episode of Frontline. It's only tangentially related to this situation--it talks more about the revolving jail door for mental health patients who can't function in society and basically no one to help them do so--but I think it highlights the purely irrational essence of some crimes committed by mentally ill individuals. 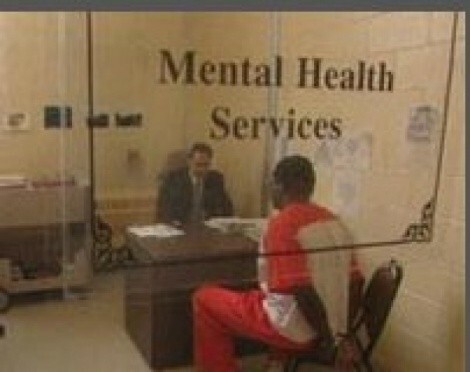 Was Loughner just a little ill, so he was disturbed but well aware that what he was doing was wrong? Perhaps. Time will tell. Until then, stop blaming Sarah Palin.